Declining fossil fuel resources, increasing energy security concern and environmental issues have motivated researchers globally to find out alternate sustainable fuel to fulfill the future energy demand. In the last few years lipid-based fuel, also known as biodiesel, is recognized as a suitable energy source against fossil-based fuels as it is renewable, biodegradable, nontoxic, sulfur free and eco-friendly. Biodiesel produced from lipid sources are similar to conventional diesel fuel. Nonetheless these significant advantages do not serve in commercializing biodiesel as a substitute for petrodiesel. The bottlenecks also include high cost of feedstock, i.e., edible oils, other unit production cost such as energy consumption, final product purification, and waste water treatment. Reduction in overall production cost can be achieved by selecting cheap sources like nonedible oils, animal fats, and waste cooking oil had been considered in recent studies. 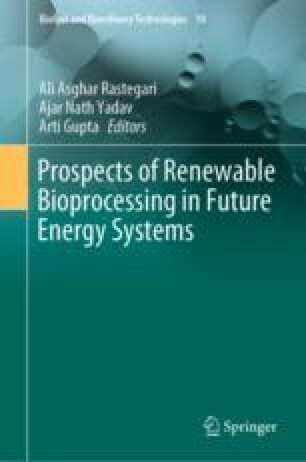 This chapter throws limelight on the necessity of biodiesel, current methods and technologies of biodiesel production from available feedstock, their advantages and disadvantages and technical barriers to commercialization of biodiesel. In addition, we attempted to address on the possible utilization of other lipid sources like waste sludge, microalgae, bacteria, fungi, yeast and insects, key barriers to commercial production from the mentioned sources and future perspective of biodiesel production. Possibility of complete replacement of fossil fuel is being emphasized worldwide and also for utilizing alternate low cost feedstocks and biocatalysts, developing economically better technology, application of genetic engineering, implementing new laws and government policies and improving public awareness. We are thankful to the editor of this book Dr. Ali Asghar Rastegari for his invitation to contribute to this book. We also thank Dr. Ajar Nath Yadav for his comments on earlier versions of this chapter.